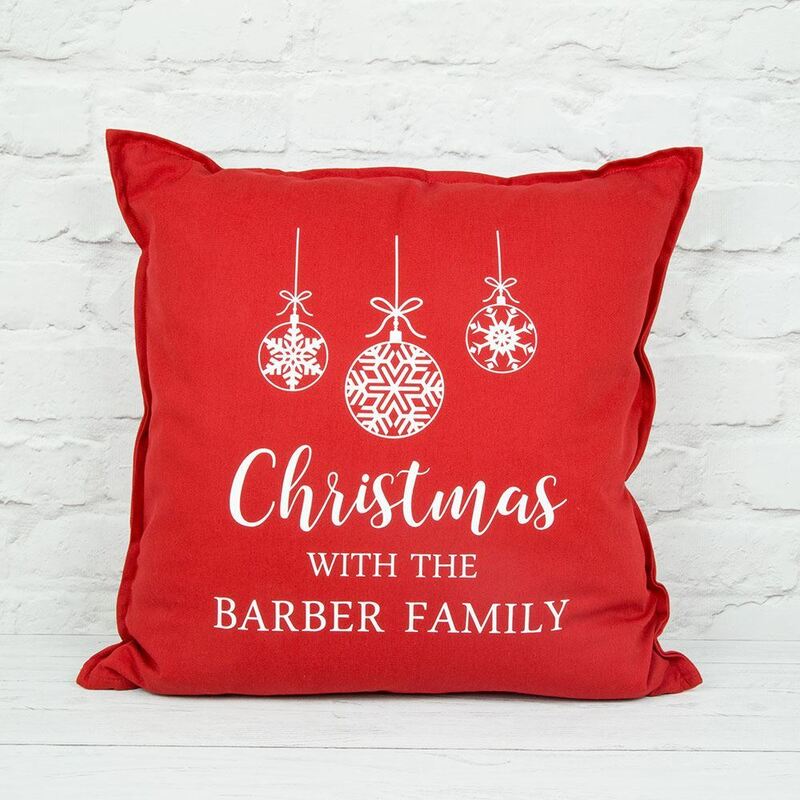 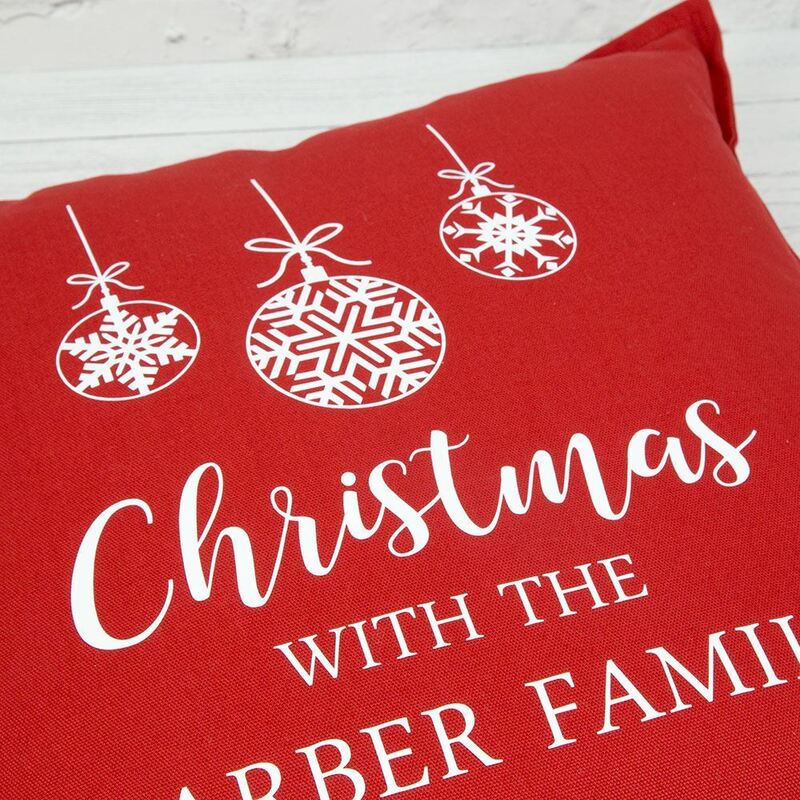 Add a splash of colour and some cheer this festive season with our personalised family Christmas cushion which features the wording "Christmas with the" and your family surname, finished with a cute bauble design. 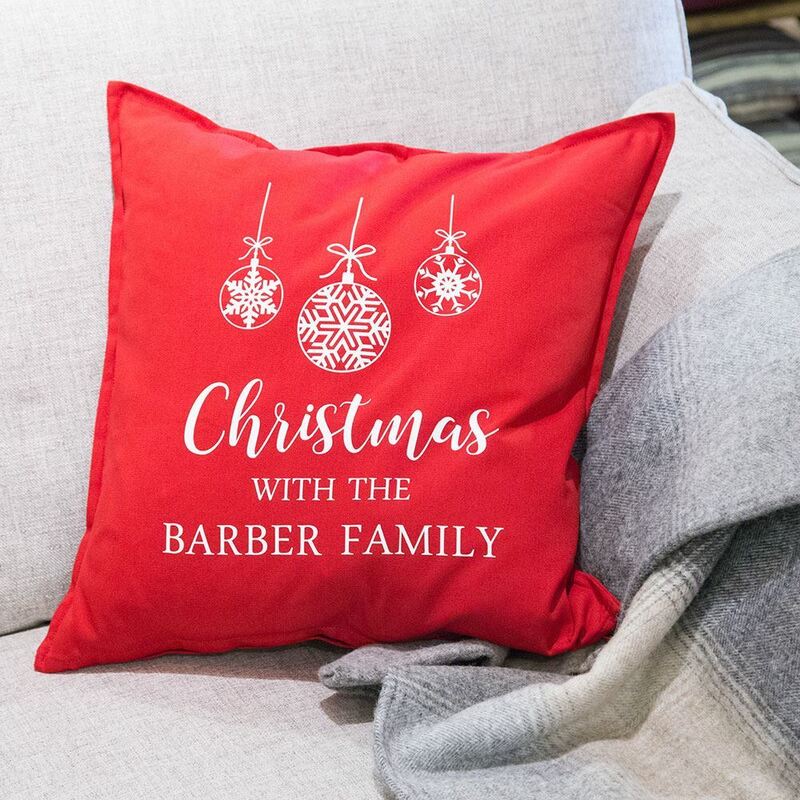 Add a splash of colour and some cheer this festive season with our personalised family Christmas cushion which features the wording "Christmas with the" and your family surname, finished with a cute bauble design. 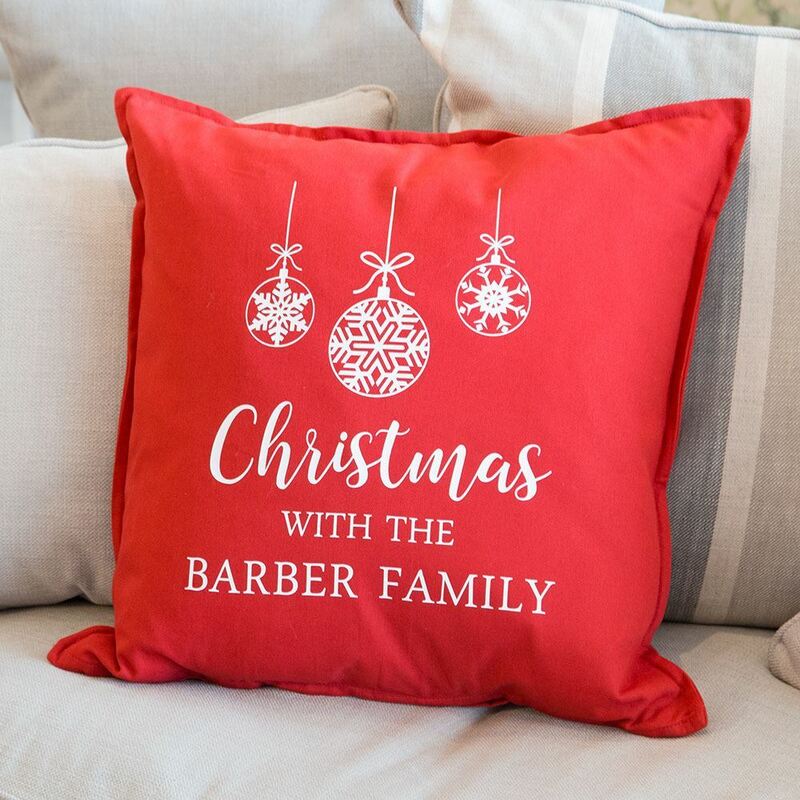 The cushion in the picture is shown in Red and White but we can change the colours to suit your home if required.